Bir is a small town located in the state of Himachal Pradesh in northern India. Bir Billing is a popular destination for adventures sports such as paragliding, treks and also as the town for meditation. Bir is considered as one of the best spots in the world for paragliding and it hosts the World Paragliding Championship every year. The take-off site is called Billing and the landing site is Bir and the overall altitude change is around 800m. The town of Bir is also an important centre of spiritual studies and meditation. There is a major Tibetan community settlement in this town and the culture of Bir is highly influenced by Tibetan culture. 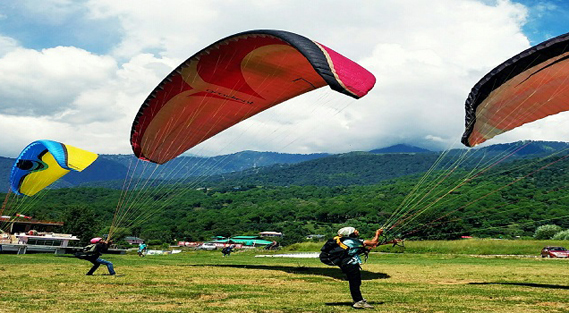 This town is the hub of adventure-sports activities and paragliding spots are abundant here. These activities are safe and all standards of safety are taken care of. People can also go for trekking in one of the most picturesque routes in Himanchal Pradesh. Besides this the Deer Park and the Bir Tea Factory are must-visits.